Arum: Mayweather Does NOT Deserve 50-0 For McGregor Win! Top Rank's CEO Bob Arum does not agree with Floyd Mayweather being given the ability to raise his record to a perfect 50-0 by beating a non-boxer who is making his professional boxing debut. 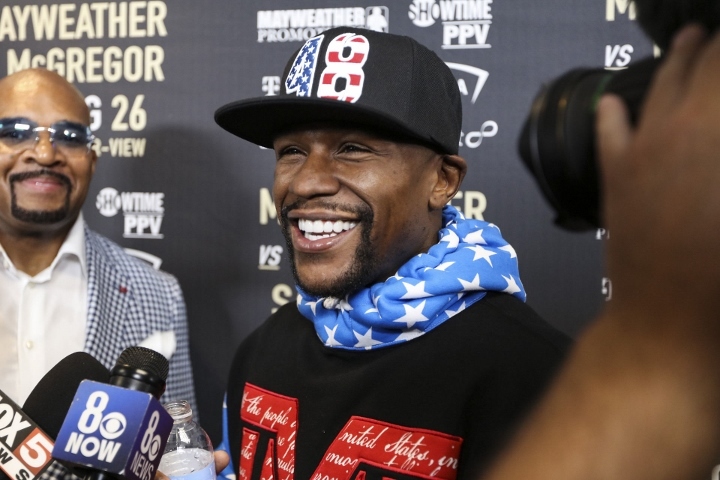 Mayweather, breaking a two-year retirement, is returning to the ring on August 26th to face UFC superstar Conor McGregor at T-Mobile Arena in Las Vegas. McGregor, who has no experience in boxing, is a tremendous underdog in the contest. A victory would raise Mayweather's record to a perfect 50-0 - which surpasses the 49-0 record of heavyweight great Rocky Marciano. Arum does not even view Mayweather-McGregor as a legitimate fight and he's advised anyone who will listen, to save their money for the Gennady Golovkin vs. Canelo Alvarez pay-per-view, which takes place three weeks later on September 16 at the same Las Vegas venue - which is being staged by Oscar De La Hoya's Golden Boy Promotions. Arum views the contest as a "spectacle" and feels there is no reason to allow this fight to appear on Mayweather's official record. Arum has also advised Mayweather's team to lower the ticket prices - after reports surfaced earlier this week that thousands of tickets are still available for purchase. The cheapest ticket is priced at $500. And even the pay-per-view price has fans up in arms - at $99.95 for HD and $89.95 for SD. Because McGregor is viewed as a such a huge underdog, the fans are not willing to shell out the big bucks to watch it. [QUOTE=GriffTannen;17934151]why do people keep acting like 50 is some holy grail number holy fuk.. if he fought an extra bum before fighting genaro hernandez hed be 50-0 by now, who cares[/QUOTE] hahaha, exactly!